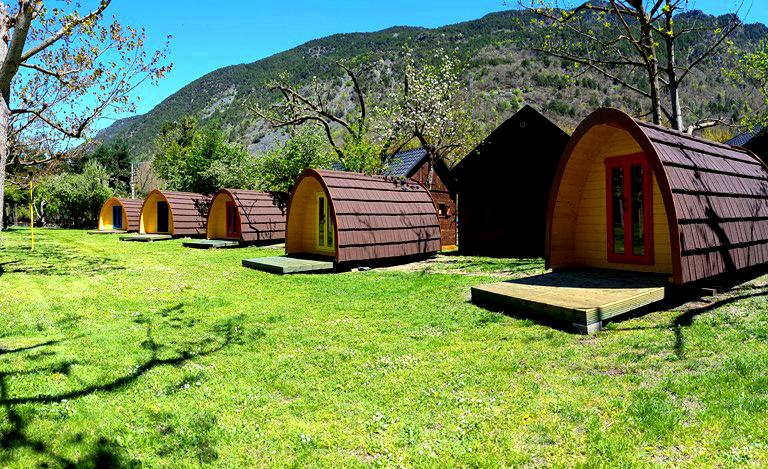 If you spend your holidays in our campsite and you would like to enjoy a good meal, we encourage you to take your time and discover our gastronomy, the typical cuisine of the Valleys of the Pallaresan Pyrenees and of the small mountain villages. Explore the little “delicatessens” that some artisan family businesses in the area are getting back, such as home-made yoghurts, cottage cheese and first quality cured cheese and sausages; Also, starting from a few years ago, local wine that has been grown and harvested in the Pyrenees. So, in restaurants around you will be served a trinxat, mashed cabbage and potatoes with roasted bacon on top, a delicious home-made stew, a wild mushroom omelette, meat grilled on an open fire or a wild boar hotpot.